Ooredoo has today announced a new network milestone, with 22 5G network towers now live, covering an area from West Bay to Hamad International Airport. 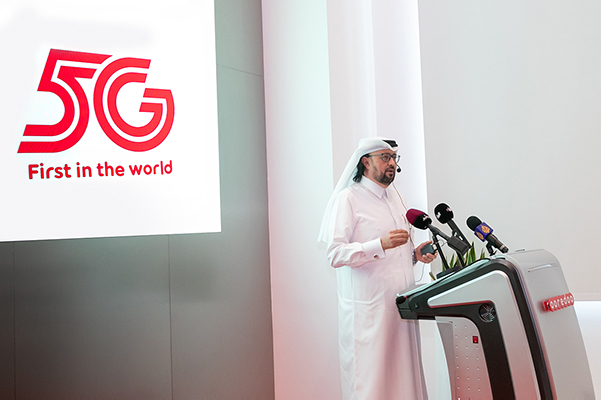 Thanks to this momentous effort from the company, some of Qatar’s busiest areas are now 5G ready, meaning more people than ever will be able to access the life changing network technology when devices become available. The latest network tower updates include areas such as the Pearl, Hamad International Airport, West Bay, Rawdah and more. To demonstrate the amazing power of Ooredoo 5G to its customers, the company recently built a high-tech Virtual Reality simulated football environment in one of the World Cup Fan Zones in Khalifa stadium. The VR football environment is available to enjoy for free at Gate 2, Level 1 of Khalifa Stadium until 14 July, and the experience runs solely and seamlessly on Ooredoo 5G. Reaching 22 5G network towers is the latest milestone for Ooredoo’s Supernet network, in May Ooredoo announced it was the first operator in the world to launch a 5G network commercially, in the 3.5GHz spectrum band, and the company has since gone on to roll-out the network to Katara Cultural Village, where a live speed test reached an impressive 2.51 Gbps with an extremely high throughput and low latency. As well as speed and reliability, Ooredoo’s 5G network roll-out will have a hugely positive impact on many business sectors and organisations in Qatar. Most noticeably, Ooredoo 5G will lead to the rise of Internet of Things applications in Qatar such as smart cars, VR, AR and drones.